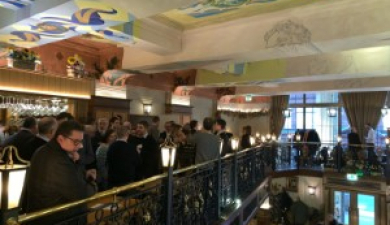 Our Glasgow office celebrated their 5th Anniversary on Thurs 21st March, at the Bavaria Brauhaus. 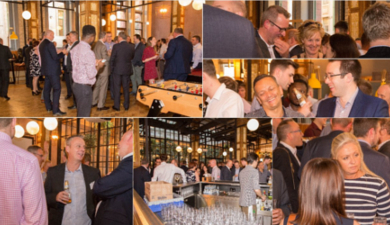 It was an enjoyable evening catching up with clients and friends who joined us to mark this milestone event. Here’s to another 5 years! 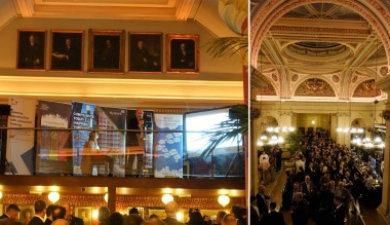 The winners of this year's RIBA London Awards will be announced on, Monday 20th May. Another great night of networking with the Cabot Club at MIPOUT 2019. It was interesting to see the industry's thoughts on what Bristol could do to overcome current social challenges and improve the city's community. 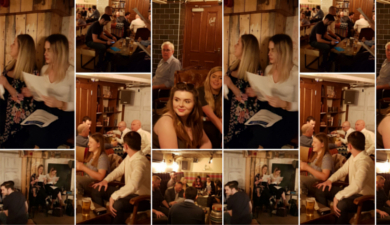 Thanks to all other hosts for another enjoyable and successful night! 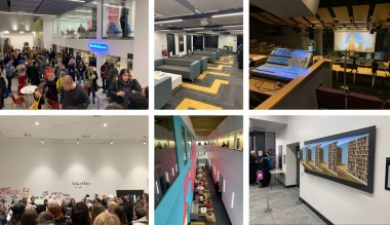 We are delighted to have worked on this unique project and extremely proud to hear that it has been shortlisted in the Northern Ireland RICS Awards 2019, 'Design through innovation' category. Well done to the rest of the project team and fingers crossed for success! 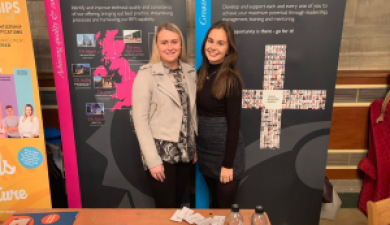 As part of our involvement in National Apprenticeship Week 2019, we attended the City & Guilds 'A Celebration of Apprenticeships' event on Tues 5th March. It was a great way to educate more students, careers advisors and parents on the benefits of apprenticeships and we hope that more people were able to walk away with a postive attitute towards this less traditional route. 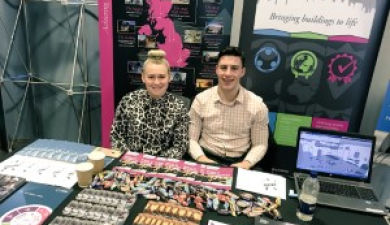 Our apprentices, Chloe and Sam enjoying the Careers Wales, '#ApprenticeshipsWork' event! We’re at the Cardiff City Football Stadium today for the Careers Wales '#ApprenticeshipsWork' event. Looking forward to inspiring lots more people to try out a career in engineering! Our Apprentice-Eco Challenge is here! 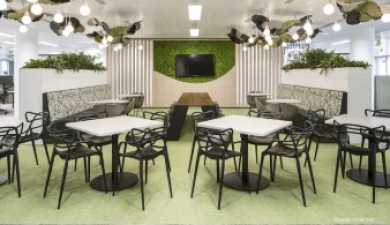 As part of our events and activities during National Apprenticeship Week 2019, we’re launching our Apprentice eco-challenge to re-design our head office space in alignment with the, WELL Building Standard. 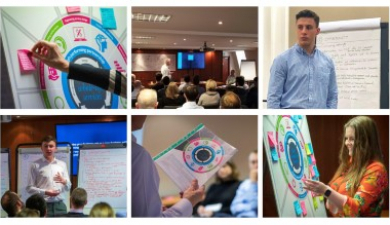 We can't wait to see all our apprentices' exciting and innovative ideas! Our team are heading off to Camden's waste facility site! Our team will be heading off to Camden’s waste facility site this Thurs 21st Feb, in partnership with the Camden Climate Change Alliance and Veolia. By engaging our people in these types of activities, we aim to learn more about the importance of appropriate waste segregation and where it ends up. Read here for more info: https://www.eventbrite.co.uk/e/waste-facility-site-visit-camden-tickets-48694764351. 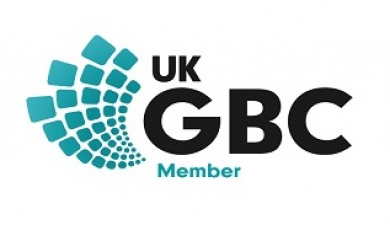 On Thurs 21st March our Peter Anderson, Managing Partner at TB+A will be at UK Green Building Council's Annual Leadership dinner bringing together industry pioneers to share best practice and engage in stimulating discussions on the sustainability front. Chief Executive of WWF-UK, Tanya Steele will also be sharing her views on the challenge ahead and how we can work together to safeguard our environment for the future. 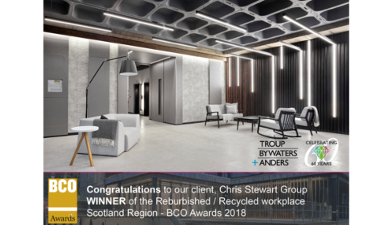 Great to see that our recently completed project at 122 Waterloo St, Glasgow has been shortlisted in the 2019 BCO Scotland Awards, 'Fit-out of Workplace' category. Congratulations to the rest of the design team, Ryden, Haa Design Limited and Sharkey. Fingers crossed for success! Catching up at our 'Time To Talk' event this morning, encouraging our team to come together to discuss mental health and challenge the taboos around it. 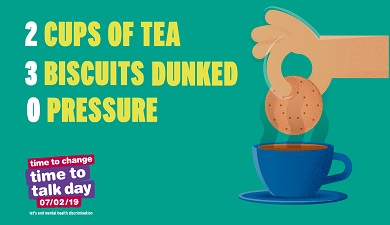 We also asked some of our people for their key, 'ingredients' that make them feel more positive about their mental health. This Thurs 7 Feb organisations across the UK will be providing opportunities for their people to talk openly about mental health. 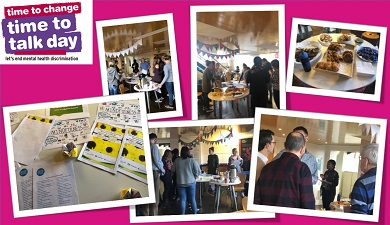 We're proud to be supporting the, 'Time To Talk' campaign by encouraging our people to join us for a chat and slice of cake at our, 'Time to Talk' coffee morning. What a fantastic evening at the BCO Annual Dinner 2019, just look at those centre pieces! After one of Britan's most politically significant days over the last 50 years, Andrew Marr also shared his insightful views on the current Brexit deal and what's most likely to happen after leaving the EU. 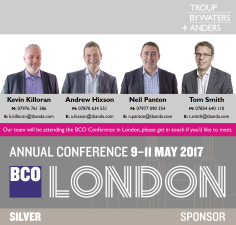 We look forward to seeing everyone again at London's BCO Awards in April and the Annual BCO Conference, Copenhagen in June. Biggleswade Girls Rugby team wear TB+A! As proud sponsors of the Girls Youth team at Biggleswade Rugby Club, we're delighted to finally see the Under 13 and Under 15 teams wearing their TB+A branded kits! We look forward to continuing our support to the club and can't wait to see the rest of the teams in their new gear. 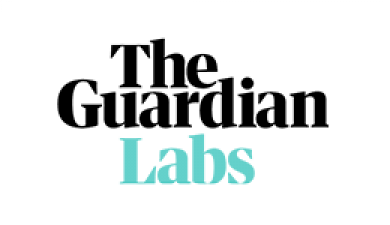 TB+A are featured in this month's, The Guardian online. 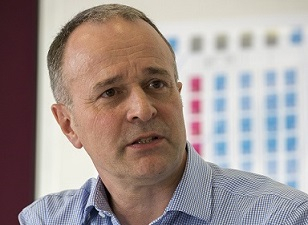 As a small business with 200 employees and 20% being apprentices, our TB+A Partner, Neil Weller discusses our apprenticeship journey over the last 10 years. To read the full article and find out more about our scheme, visit https://bit.ly/2Q4uYWD. TB+A are one of over 190 organisations who have achieved commitment level accreditation of the, London Healthy Workplace Charter. 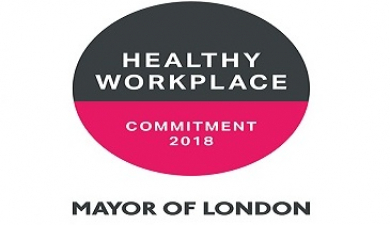 Backed by the Mayor of London and endorsed by Public Health England, it is an initiative for businesses to show support and investment in their employees’ health and wellbeing. Claire Oliver and Claire Bower Head of HR and IMS at TB+A respectively, commented: “We are really pleased to have achieved commitment level in recognition of the health, safety and wellbeing foundations currently in place. We look forward to working with the Healthy Workplace Charter to develop further and in turn improve the physical, psychological and social wellbeing of our people”. On Friday 18th October the new, DAERA HQ, Nothern Ireland won the Commercial category at the Constrcution Excellence Awards 2018. We'd like to say a huge congratulations to our Belfast office for being part of the design and construction of this award-winning project. 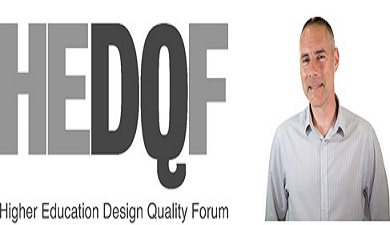 Adrian Wordsworth, Partner of Troup Bywaters + Anders has become an official HEDQF Founder Member. Our apprentices having fun at Healthcare Estates! 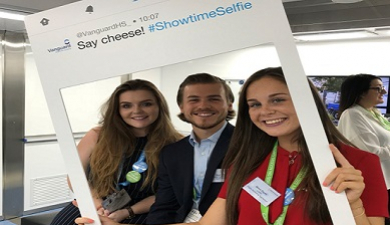 Our apprentices Grace, Megan and Olly enjoying the Vanguard Healthcare unit tour at IHEEM 2018! 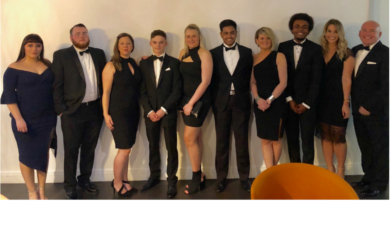 Our team had a fantastic evening in honor of the Healthcare Estates Awards dinner, which took place at the Mercure Manchester on Tuesday evening. To top the night off, we took home 'Consultancy of the Year' in recognition of our outstanding work in the healthcare sector over the last year. As proud sponsors of the Apprentice Zone at the Healthcare Estates Conference, and the Apprentice of the Year award, Partner Terry Canty presented this year’s winner, Samuel Mellor of Sodexo with the title. 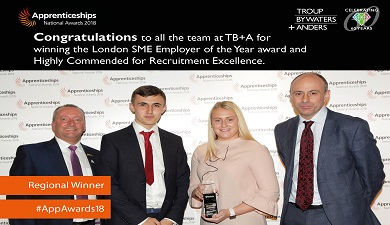 TB+A would also like to extend our congratulations to the highly commended apprentices as well as all other finalists in this category, who should be proud of their tremendous achievements. 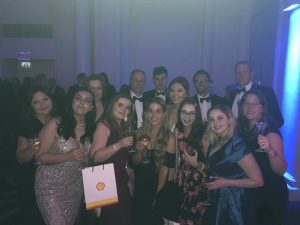 On Friday 14th September, TB+A attended the London final of the National Apprenticeship Awards 2018, bringing together top employers and apprentices from all across the region. Terry Canty, Partner at TB+A later commented, “We are absolutely delighted to win this award as recognition at the highest level of our commitment to Apprenticeships. Too often there is a stigma that apprentices are cheap, temporary, unskilled labour that fill a medium term lower tier gap. For us that couldn’t be further from the truth." 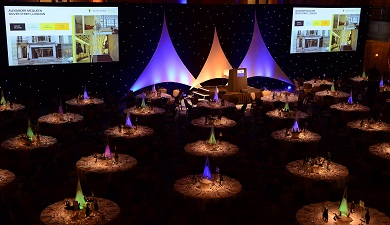 The winners will be announced at a glamorous awards ceremony at the Park Plaza London Riverbank on the 21st November. 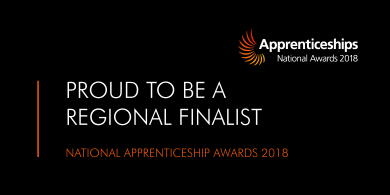 TB+A are proud to announce that we have been shortlisted as London regional finalists in the 'SME Employer of the Year' category for the National Apprenticeship Awards 2018. Talking about forging your own pathway and how young people have the opportunity to pursue anything if they really put their mind to it, Megan and others share their stories. 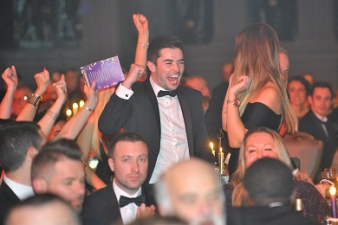 This year, winners will be celebrated at a spectacular awards ceremony and dinner at the Roundhouse, London on 28th November 2018. 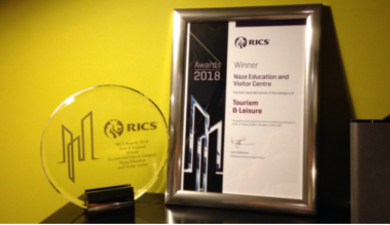 Congratulations to the team on winning the Commercial Category for Colby House at RICS Awards 2018 Northern Ireland region. 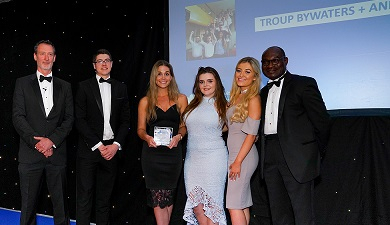 Troup Bywaters + Anders was commended for its exemplary work on Thursday 17th May, at an event celebrating the opportunities offered to young people leaving school and going directly into work rather than university. 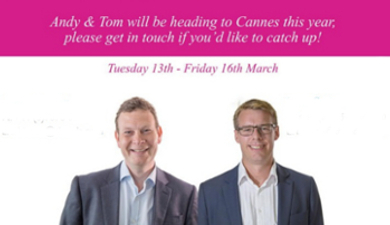 Troup Bywaters + Anders gained a spot in the top 100, as decided by school leavers working within their team. 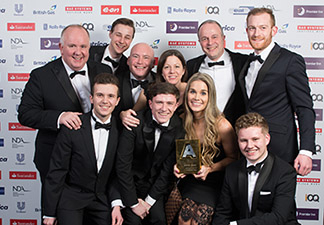 AllAboutSchoolLeavers.co.uk held the ceremony at the Sheraton Grand on Park Lane, London – hosted by comedian Josh Widdicombe – giving out prizes to employers based on the real-life experiences of apprentices and school leaver trainees. 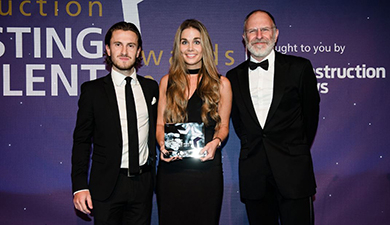 The awards featured 100 UK organisations, with high-profile names from the professional services industry, the world of construction and engineering, supermarket giants, broadcasting and media companies, and city councils represented. 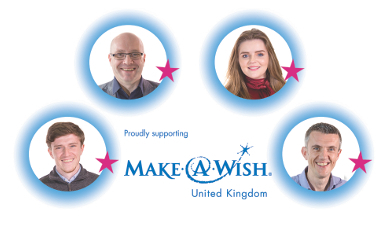 Congratulations to our Wish Heroes who battled the heat & ran the London Marathon in aid of Make a Wish Foundation. Collectively the team rasied £11,500 for the Make a Wish Foundation. 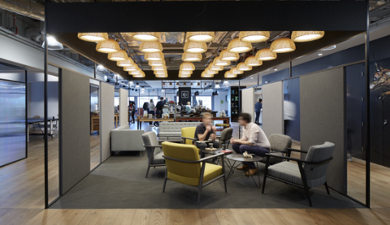 Congratulations to our client HAVAS UK, HKX on winning the Best Fit-Out of Workplace at the BCO Awards 2018 London Region. This category awards a space, or spaces, within a building that demonstrates a high quality of interior fit-out. 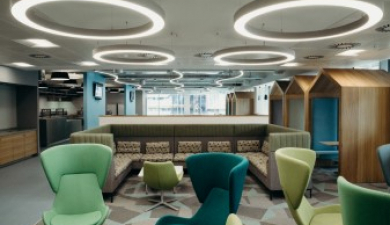 'The judges were impressed with the impact of HAVAS UK’s relocation of their headquarters, noting that the execution of the project delivered a unique workplace fit out for each of Havas’ individual brands, while creating a sense of tangible connectivity across the office building'. Read more from the judges at: https://bit.ly/2K0tOIS TB+A are extremely proud to have been part of this landmark project and extend a huge well done to the whole team on a very successful win. 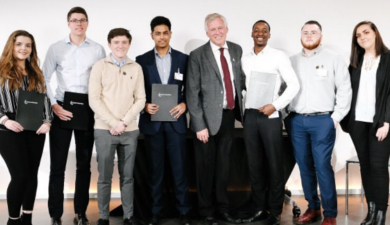 Extremely proud to see some of our apprentices on stage graduating at the 2018 Graduation Ceremony held at the BT Tower London, hosted by our very own Neil Weller. 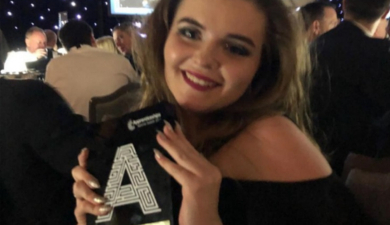 Our Megan Whitbread, currently in the third year of her apprenticeship journey at TB+A was one of three finalists in the Advanced Apprentice category at the National Apprenticeship Awards in London. Apprentice Employer of the Year at the Investors in People Awards 2017. Hayden, Chloe, Oliver and Ahiya picking up the award for the team! 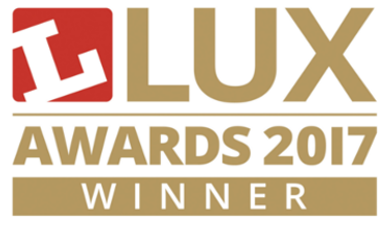 dunnhumby crowned Project of the Year at Lux Awards 2017 in the Office, Education and Healthcare sector. 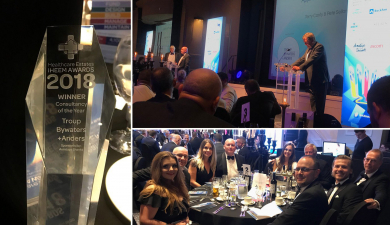 Our Lighting team were exceptionally proud to win the project of the Year for dunnhumby which scooped the award for most outstanding lighting design in the Office, Education and Healthcare sector. The judges loved the scheme and it was a hotly contested category. It’s a wonderful recognition of the work of everyone involved. 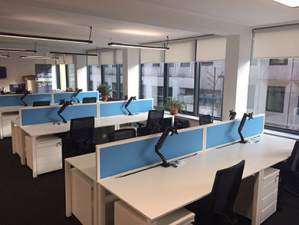 The lighting design was able to excel because of the drive from all sides of the project; from dunnhumbys passion for a world class office, to FDA’s inspired design and of course the delivery, management and successful execution of the design intent by CBRE, ISG and Phoenix. 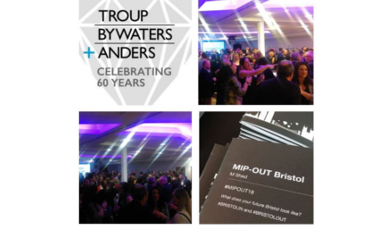 Troup Bywaters + Anders were delighted to win the 'Best Place to Work' (consultants) category. This award is amazing recognition of our people and our business and we couldn't be prouder. 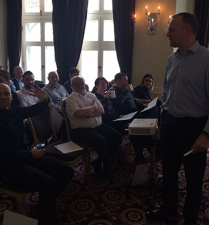 "The company won the judging panel over by demonstrating that people are at the heart of its business objectives. A total of 44 apprentices within a business of 200 people shows real commitment and proves that its aims are more than just words. TB+A’s eco-committee initiative also illustrates an inclusive approach to sustainability." 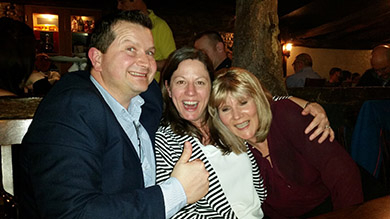 Troup Bywaters + Anders were delighted for Claire Oliver to win winner of 'HR Star of the Year'. "Claire was the stand-out stellar candidate". Drawing particular praise was her work with apprentices, 30 per cent of whom were women – giving them a voice at the highest level and providing support to develop their careers. Claire also has a significant impact outside the business, setting standards for her sector by helping roll out Trailblazer apprenticeships across the UK. 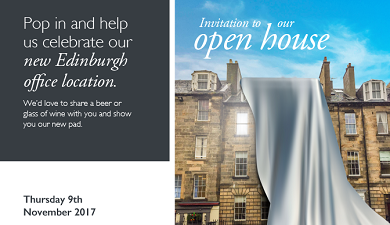 Our Edinburgh team host and celebrate their office move to a new central location in the heart of the New Town with an open house event. Celebrating our WISE Apprenticeship Programme Award. Another great night! 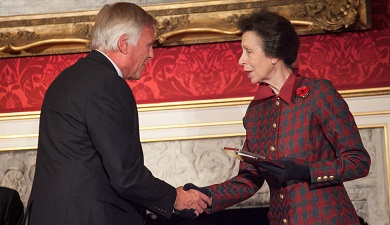 Neil Weller, Partner at TB+A was honoured to collect our award from HRH Princess Royal at St James Palace. We were recognised for our investment in the training of our people and our apprenticeship programme with a particular acknowledgement of our efforts in encouraging more young females into the industry. 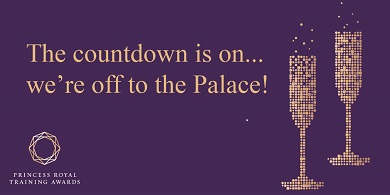 We're off to the Palace! 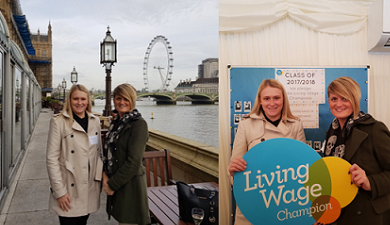 TB+A are proud to be supporting the Living Wage Foundation at the parlimentary event, where Chloe Jones from our HR team and Claire Bower,Head of IMS are helping to promote the real living wage for the real cost of living! Members of the TB+A Sustainability Working Team gather for a workshop with Bioregional to steer our direction and priorities for our sustainability strategy and action plan. 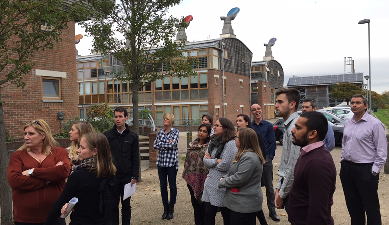 The day included a tour of BedZed, the UK’s first large-scale, mixed use sustainable community with 100 homes, office space, a college and community facilities completed in 2002. Megan beaming with her National Apprenticeship Award! 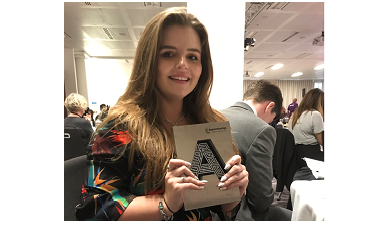 Extremely proud of Megan Whitbread who was crowned Advanced Apprentice of the Year at the London region finals of the Apprenticeship Awards today. Well done Megan..now on to the National finals in January 2018! Congratulations to Oliver Newman & Pierce Ronan who completed their HND and Jake Marshall & Francesca Haws who completed their BEng (Hons). Great achievement! 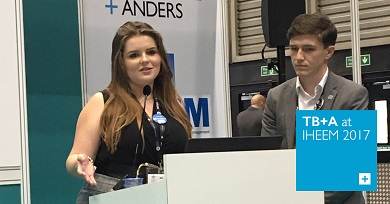 TB+A are sponsoring and hosting the Apprentice Theatre at the IHEEM Conference in Manchester over two days with IiP, Static Systems, Turner & Townsend and Eileen Bayles of Northern & Yorkshire NHS Assesment Centre part of the presenation team. A key highlight included Lord O'Shaughnessy, Parliamentary Under Secrertary of State at the Department of Health talking to two of our apprentices Shane Sullivan and Megan Whitbread about their experiences. 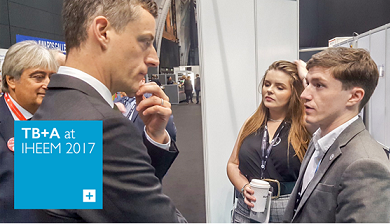 Our Apprentices stole the show at IHEEM Conference in Manchester! Shane Sullivan and Megan Whitbread explaining what a succesfull apprenticeship programme should look like from their perspective. WISE 'One to Watch' finalists announced! 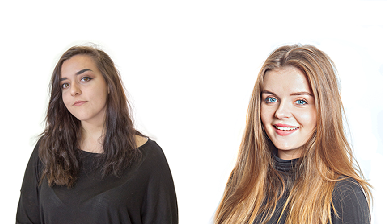 TB+A Apprenitces Megan Whitbread & Chloe Mansford are 2 of the 10 finalists shortlisted in the ‘One to Watch’ category at the WISE Awards 2017. 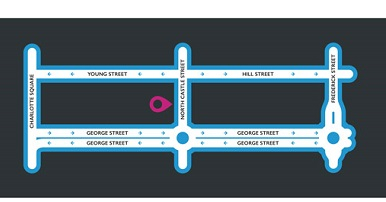 The awards will be held on Thursday 9th November at 8 Northumberland Avenue, London. Good luck to them both and fingers crossed on the night! We're one step closer to being crowned winners of the 'Best Place to Work' in the consultant category, shortlisted as 1 of 3 finalists! Claire Oliver, Head of HR has made a significant impact in ensuring the future pipeline of new talent into our business through our Growing People initiative, we’re delighted she’s been recognised and up for an 'HR Star of the Year' award at the CIIT Awards on 15th Novemeber. Will 2017 be our year at the IiP Awards? 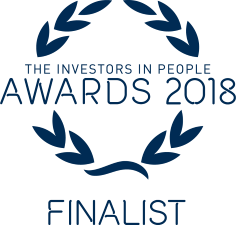 We made the shortlist for the Investors In People Awards which will be held at Old Billingsgate, London where we will join other organisations from the IiP community to celebrate the awards ceremony. TB+A are finalists in the Apprentice Employer of the Year category (2-499 employees). 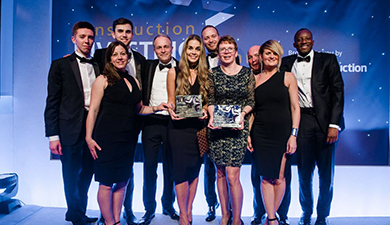 On Wednesday 7 June, the Association for Consultancy and Engineering (ACE) Awards took place at the Marriott Hotel, Grosvenor Square, London for a gala dinner attended by business leaders from across the industry. 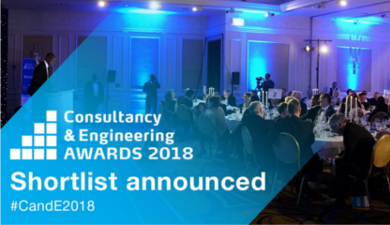 The awards celebrated the remarkable achievements of companies, industry initiatives and exceptional individuals, recognising the best of the UK’s consultancy and engineering profession. TB+A were extremely pleased to win the award for ‘Training Initiative of the Year’ in a field of tough competition. 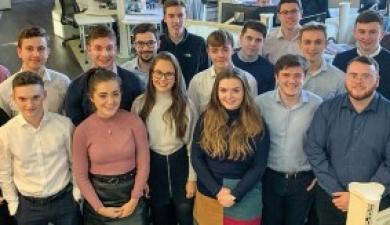 We were praised for the exceptional work of our apprentices and our national apprenticeship scheme which is supporting the next generation of young engineers and leaders into the industry. 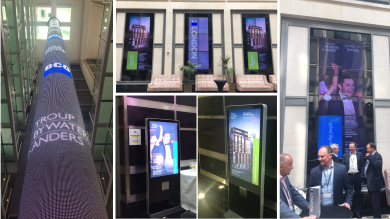 Fantastic to see the TB+A brand up in lights today at the BCO Conference in London. Extremely proud to be a silver sponsor again this year. Great to see our team taking the stage at the CIPD Learning and Development Show at Olympia talking about 'Developing High-Value Apprenticeship Schemes to Build your Talent Pipeline'. 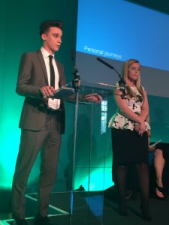 Huge well done to our Apprentices Hayden & Francesca for sharing their Apprenticeships Journeys. Great job team! 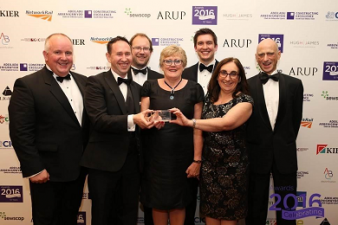 Queens University Belfast Main Site Tower & Peter Froggatt Centre was awarded 'Education Project of the Year' in the Irish Construction Industry Awards 2017 that took place on 9th May at the Clayton Hotel, Dublin. 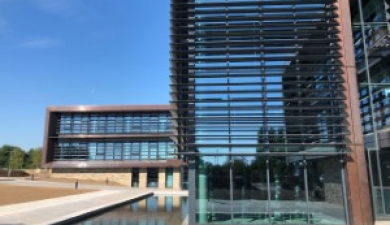 The project was up against some strong competition across the primary, secondary, further and higher education sectors so this is a great achievement and accolade. 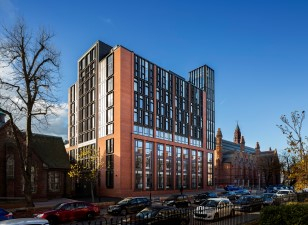 Our TB+A Belfast team are extremely pleased to be associated with this prestigious project and extend congratulations to all involved, a great team effort! 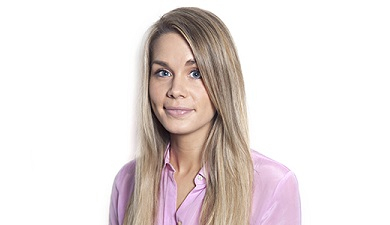 Laima's application for chartered status was prepared outside working hours and at weekends. 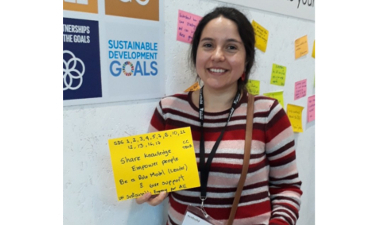 To complete the application she prepared a synopsis on “Swimming Pool Ventilation and Energy Savings with Renewable Technologies” and on its approval wrote a technical report. 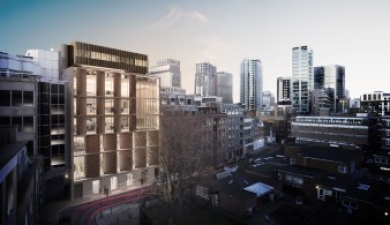 Following a technical review of the report Laima attended an interview at CIBSE HQ in London to discuss the report and findings and made a presentation on the subject matter to the assessors. 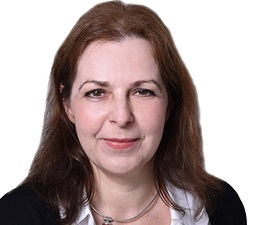 Following a lengthy successful application process Laima was delighted to be registered by the Engineering Council and to use the title of Chartered Engineer. On Tuesday 25th April our Eco-mmittee co-founders Paul Gooden, Sustainability Manager and Claire Bower, IMS Manager attended the Camden Business Sustainability Awards along with our Managing Partner Peter Anderson. 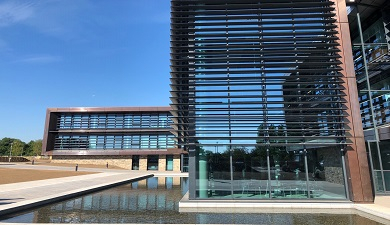 The awards ceremony took place at a special event: ‘Celebrating Sustainable Business in Camden – leading the way‘ at the Francis Crick Institute in Kings Cross where businesses and organisations were recognised for going out of their way to protect the environment. TB+A were extremley pleased to win the award for Best Employee Engagement Initative and our in-house Eco-mmittee were credited for fostering behaviour change to achieve an 18% carbon footprint reduction in the last 4 years. As well as a great networking opportunity there were keynote speakers from the London Assembly’s Environment Committee and the Committee on Climate Change. 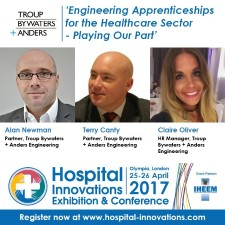 'Engineering Apprenticeships for the Healthcare Sector - Playing our part'. Our team are taking the stage at Olympia talking about the business benefits of investing in Apprentices and how our award winning scheme is impacting our company culture. 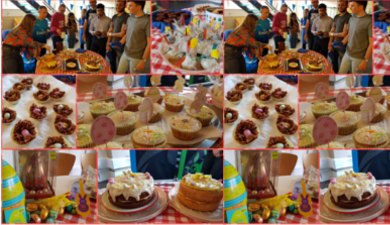 Our Macmillan Cancer support fundraiser has gone down a treat in the London office today with goodies baked by our brilliant team of star bakers. A great way to start the Easter weekend! 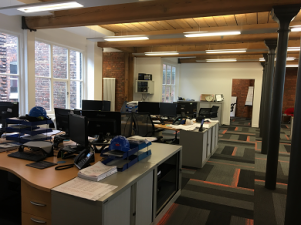 Our Manchester team has moved to a new location in the city. They spent the previous ten years in a building a short walk away from their new location. The old office served them well but they couldn't be more excited about their new space. 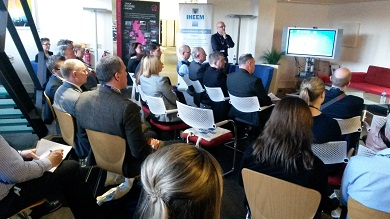 As an IHEEM company affiliate we were delighted to host their 'Working Together' seminar on 9th March. 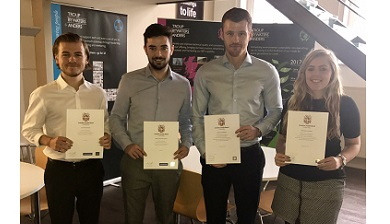 Speakers Alan Newman, Claire Oliver, Oliver Newman, Jake Marshall and Francesca Hawes presented TB+A’s award-winning apprenticeship scheme. Great to see our adverts appearing in the Evening Standard and Metro (London, Scotland & South West) during National Apprenticeship Week. Brilliant profile and thanks to our Pierce Ronan and Claire Oliver for representing us, we couldn't be more proud! 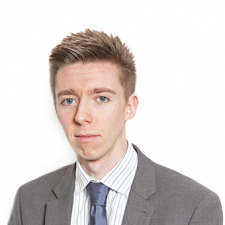 Congratulations to TB+A's Richard Hendry on his Highly Commended award for his MSc dissertation titled "Applying building energy modelling tools to operational energy use" at the CIBSE Building Simulation Award 2016 . http://bit.ly/2l7i9MC The awards were initiated in 2012 as an annual prize open to postgraduate students from UK and overseas universities who undertake a research project at Master’s level or equivalent which includes a major element involving the application of building simulation tools in the research. 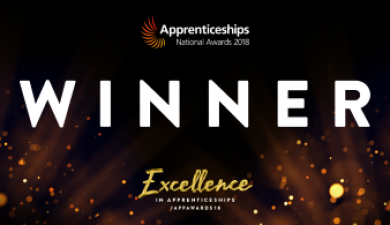 On recieving the award, Claire Oliver, HR Manager commented: "Winning the ‘Best Apprenticeship Scheme’ Award in such a competitive category is fantastic. It provides authentic feedback and reaffirms the success of our apprenticeship programme as well as giving our apprentices the recognition they deserve. It motivates us to keep working hard to grow and develop our people - a pillar of our business strategy. For our success to be noticed across our industry and nationally is extremely rewarding”. Wow! 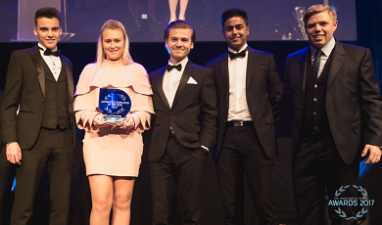 What a fantastic evening at the National Apprenticeship Awards on Friday celebrating the success stories and achievements of apprentices and employers. 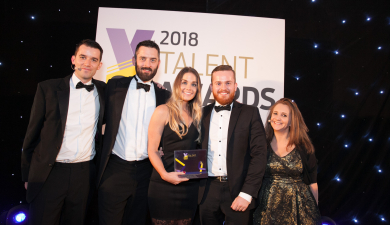 Winning the award for Medium Employer of The Year in recognition of our scheme, our apprentices and the wider team of people at TB+A that supports it all was truly memorable. 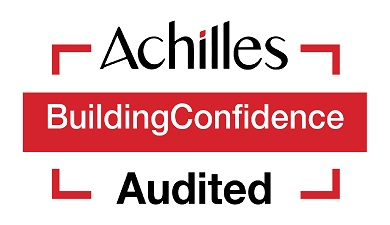 TB+A feature in the Building Good Employer Guide, re-affirming our position as one of the top construction businesses in the UK when it comes to investment in our people. 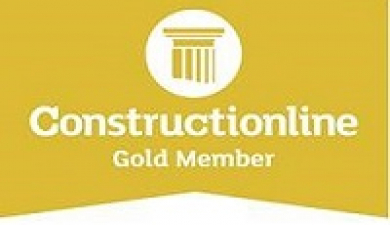 The guide features the top construction employers based on anonymous surveys of their staff and so once again a huge thanks extends all our team for their continued support and vote of confidence. Well done to our Jake Marshall on a very well deserved award. The Lucas Scholarship award was created in the mid 1980’s in recognition of Bernard Lucas’ efforts for the Institute and to encourage up to two young members of the Institute to participate in events such as the Annual Conference. 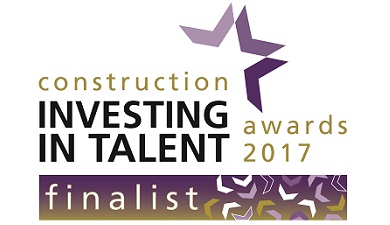 TB+A joins just two other organisations in the construction industry to be awarded the Platinum standard by Investors in People (IIP). Organisations that meet the world-recognised Investors in People Platinum Standard reflect the very best in people management excellence and is designed to highlight the top employers, with only 26 businesses globally accredited at Platinum level (as of 13th January 2017). 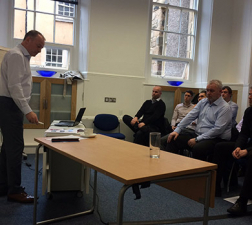 Our Energy Performance + Technology group attend the CIBSE Conference on 17th and 18th November 2016 at the QEII Centre, Westminster. The EP+T group is a multi-disciplinary team of engineering leaders from mechanical, electrical, building physics, Facilities Management, IT and security disciplines with a common interest to improve the performance of the buildings in which we live, work and play. The group fosters a collaborative approach to overcome the common challenges in reducing in-use carbon emissions from our clients’ buildings. 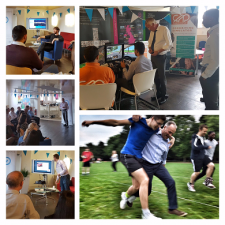 In-line with our Eco-week theme of ‘Health + Well-being’ we explored meditation benefits, and the ‘Psychology of sitting at work’ with King’s College, following which we became partners seeking research funding to test sit / stand desks in real-life office environments. TB+A along with Arcadis, TRP and KKA Architects were part of the development team working on the new Hilton Garden InnHotel on the western side of the famous Doncaster Racecourse as well as a new hotel at Royal Windsor Racecourse. 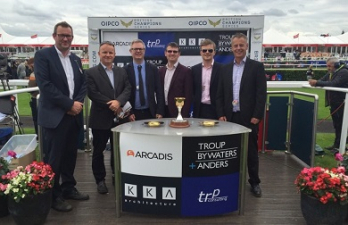 The design team consortium sponsored the 250th running of the Doncaster Cup (part of the St Leger).